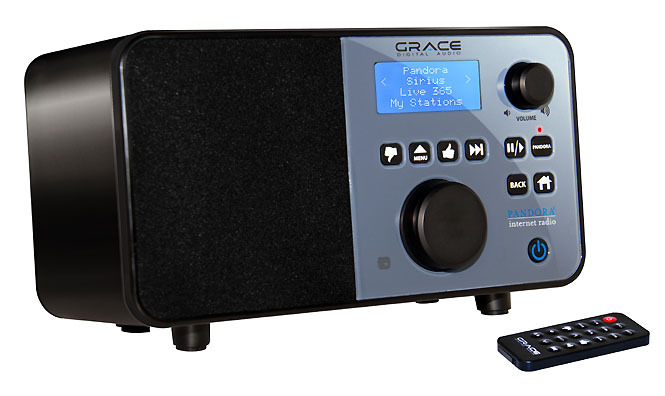 Is Internet radio about to get rocked? 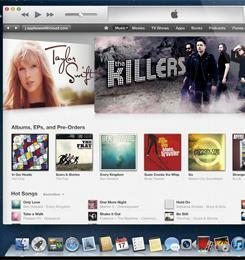 Internet radio has revolutionized the way many tech-savvy consumers listen to music. Whether it’s a personalized radio station from Pandora, playlists pulled down from Spotify, friends’ recommendations “scrobbled” through Last.fm, or tapping into any of the myriad other sources for online music, Internet radio has become a way of life for many people. However, just as Internet radio seems to have finally developed as a mainstream business, things look to be shaking up. The entire industry appears poised for another showdown in Congress over music royalty rates, and everybody is worried about Apple getting into the business — although the notoriously secretive company hasn’t said anything one way or another. Is the fledgling industry in danger, or just in for a shakeup? From 2007 to 2009, Internet radio services like Pandora waged a do-or-die battle with the U.S. federal government over the royalty rates they pay for music it streamed to users. Initially, royalty rates for Internet streaming were set low to encourage growth of the industry; when they were scheduled to go up, streaming operations cried foul, saying the due-to-be-imposed rates would drive them out of business. Pandora led the fight — and, surprisingly for an upstart Internet company, it won, inking a deal for the Internet streaming industry under which it pays either $0.02 per listener per hour of music streamed, or 25 percent of the company’s gross revenue— whichever is greater. The model has worked out well — or, at least, worked better than going out of business. Pandora was able to pull itself back from the brink of oblivion and cement its position as the dominant player in Internet streaming with more than 150 million registered users. It currently accounts for almost three quarters of all online radio listening. Dominic Paschel, Pandora’s VP of corporate finance, indicated at an investor conference earlier this month that Pandora’s listener figures effectively make Pandora the largest radio station in most of the top 10 U.S. radio markets — and the company expected to be the top station in most of the country’s 180 top markets by the end of 2012. Last month, Pandora estimated it accounted for 6.3 percent of all radio listening in the United States. That said, Pandora still isn’t making money. Although Pandora’s revenue totaled over $120 million for its most recent quarter, roughly half of that — $60.5 million — was paid out in the form of those $0.02 per listener per hour royalties. 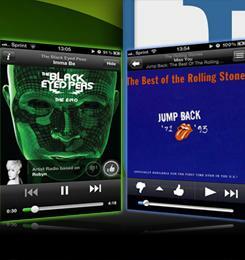 Pandora is having strong success growing its mobile advertising revenue. By the end of 2012, it should be pulling in about $15 million in mobile advertising alone. Advertisers find Pandora attractive since they get immediate metrics on who has been exposed to their messages (unlike traditional broadcast radio). Pandora and other streaming providers would like to at least get out of the “whichever is greater” clause of the current royalty requirements on streaming music. 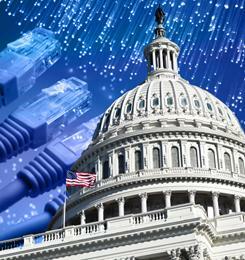 As such, they’re backing the Internet Radio Fairness Act, newly proposed legislation introduced in the House of Representatives from Jason Chaffetz (R-UT) and Jared Polis (D-CO)— Ron Wyden (D-OR) has introduced a similar bill (PDF) in the Senate. The proposed legislation would have Internet radio royalty rates set by the same mechanism that’s currently used to set royalties for cable and satellite radio. These are set by a panel of federal judges who evaluate the commercial value of the music and material being broadcast, as well as the effect royalty rates have on the industry overall. It’s a more amorphous process, but Pandora — and lots of other players in the streaming field, including the National Association of Broadcasters (NAB) — believe it would result in substantially lower royalty rates. Pandora characterizes the proposes legislation as ending “discrimination” against online streaming services. “The Internet Radio Fairness Act will address this discrimination by extending to Internet radio the same standard used to determine virtually all copyright rate-setting processes, including satellite and cable radio, allowing us to compete on a level playing field,” wrote Pandora founder Tim Westergren on the company blog. Pandora has also posted a summary of the bill and sent out email to users urging them to support the legislation. On one hand, Pandora’s argument makes a pretty pretty basic appeal to fairness: Internet radio stations pay a far higher proportion of the their revenue in royalties than their competitors. That kind of pressure makes it very difficult to run a successful business. For every regular user Pandora acquires, it must pay more for additional bandwidth, storage, and processing, but also an ongoing royalty burden that stifles revenue growth. Without turning a profit, the company has been a tough sell to investors. After all, to get to a break-even point, Pandora has to add an enormous number of new ad-supported subscribers. If the royalty rate were to go down, that break-even point (or, dare we say, profitability point) gets much more achievable. On the other hand, it’s easy to argue Pandora and similar streaming services have dug their own hole in the royalty landscape… and now they have to lie in it. Many Internet streaming services run few or no audio advertisements in their streams. That all-music-all-the-time model effectively maximizes the amount of royalties the services have to pay. Conversely, if the services devoted a portion of their free audio streams to advertising, not only would they have to pay less in royalties, they would be able to generate more money through ad sales. Lower royalty rates mean less money going to record labels and, perhaps ultimately, to artists — meaning the people who actually perform and produce the content would see less compensation. That’s assuming they see any compensation at all. 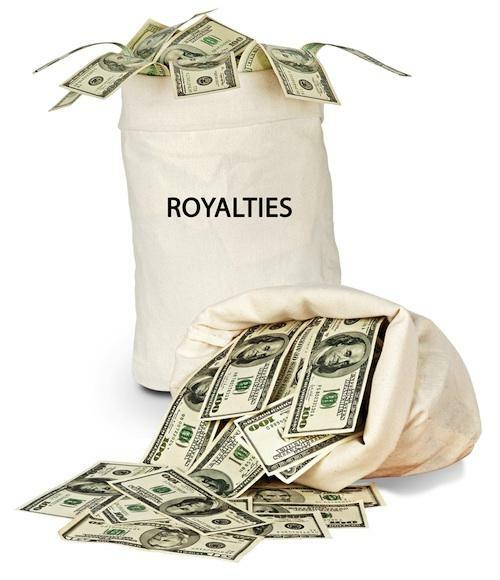 It’s not quite accurate to say royalties go directly into musicians’ pockets: Some does (particularly for indies and artists on small labels), but most monies are filtered through record companies, which tally them against an artist’s debt to the label. For all but the most commercially-successful artists, labels usually come to the conclusion artists don’t get a cent. All told, the U.S. Bureau for Labor Statistics found that all music performance royalties paid during 2011 totaled about $2 billion; that’s about one third of the U.S. recording industry’s total revenue. Not surprisingly, the record industry is not interested in seeing royalty rates go down for Internet streaming. In fact, New York representative Jerrold Nadler (R) has introduced legislation (dubbed the Interim FIRST Act) that pretty much would do the opposite of the Internet Radio Fairness Act, boosting royalties due from cable and satellite operators to about the same levels currently being paid by Internet streaming operators. Royalties aren’t the only issue being faced by the Internet streaming business. Now the world’s most valuable company, industry watchers have long expected Apple to enter the Internet streaming market. Speculation has been simmering since Apple’s acquisition of Lala back in 2009. According to market research firm NPD, Apple’s iTunes service commands nearly two-thirds of the U.S. digital music market and 29 percent of all retail music sales — spanning both digital and physical sales. If Apple were to enter the music streaming market, industry watchers agree that it wouldn’t immediately blow competition out of the water — services like Pandora and Spotify are well-established. But by hooking a streaming service in with its existing iTunes empire and iOS ecosystem — Apple could quickly exert strong influence. Albert Fried’s Richard Tullo estimated Apple could snag 20 million online radio customers in a year. Last month, some estimates put Spotify’s total audience at about 15 million. Apple’s non-presence in the Internet streaming market is so palpable that Pandora’s stock took a 22 percent hit the week before Apple introduced the iPhone 5 on a Wall Street Journal report (subscription required) that Apple would unveil an “Apple Radio” service alongside the new iPhone. Meanwhile, the New York Post reports the potential Apple Radio service was kiboshed over a last-minute snafu with record label Sony/ATV over (what else?) royalties. As things stand, the Internet radio industry finds itself in limbo. Its revenues are constrained in the United States by what it sees as onerous royalty agreements, and the market could face major disruption at any time if Apple decides to launch its own music streaming service. The launch of Maps in iOS 6 proves Apple is far from infallible (and let’s not forget the imminent closure of Ping), but the Cupertino giant also can’t be ignored. At the same time, other major digital media companies — like Google and Amazon, but also firms like Samsung and radio broadcaster ClearChannel — don’t want to be shut out of the Internet streaming market. The quickest way to get in would be to acquire an existing player like Pandora, Spotify, or Last.fm. Of the major streaming operators, Pandora is the most attractive takeover target. Although Pandora is not profitable, Pandora dominates the online streaming market, and has amped up its mobile advertising game recently. According to eMarketer, Pandora currently earns more money from ads on mobile devices than any company but Google. Bottom line: don’t be surprised if the Internet radio landscape shifts radically in the next six to 12 months.